Years before Hillbilly Elegy and White Trash, a raucous, truth-telling look at the white working poor - and why they have learned to hate liberalism. What it adds up to, he asserts, is an unacknowledged class war. When Joe Bageant returned to his hometown of Winchester, Virginia, he rediscovered his redneck roots - "the great beery, NASCAR-loving, church-going, gun-owning America that has never set foot in a Starbucks". But he soon realised that these were the very people who had carried George W. Bush to victory. This seemed ironic, because Winchester, like countless American small towns, was fast becoming the bedrock of a permanent underclass - a white ghetto of the working poor in which two in five people do not finish high school, nearly everyone over fifty has serious health problems and little or no health care, and credit ratings are virtually nonexistent. 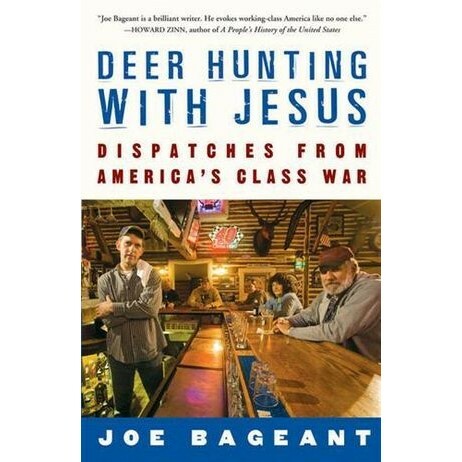 What it adds up to, Bageant argues, is an unacknowledged, American class war from which alcohol, overeating, and Jesus are the preferred avenues of escape. Deer Hunting with Jesus is a raucous mix of storytelling and political commentary. By turns brutal, tender, incendiary, and seriously funny, it is a potent antidote to what Bageant dubs 'the American hologram' - the televised, corporatised, virtual reality that distracts us from the insidious realities of American life. Joe Bageant wrote an online column that made him a cult hero among gonzo-journalism junkies and progressives. He has been interviewed on Air America and comments on America's long history of religious fundamentalism in the BBC/Owl documentary The Vision: Americans on America. He worked as a senior editor for the Primedia History Magazine Group before moving to Belize, where he wrote and sponsored a small development project with the Black Carib families of Hopkins Village. He died in 2011. Bageant's other books include: Rainbow Pie: A Redneck Memoir and Waltzing at the Doomsday Ball: The Best of Joe Bageant, a collection of essays published posthumously.